HAPPY HOLIDAYS!!!! Man, I haven’t made a skin care post in forever though it still remains at the top of my ‘worry list’. I have more things to share over the next few weeks, but first up…the Konjak Sponge. I discovered this product early in the year. It certainly deserved a blog post long ago. Konjac (English pronunciation: KOHN-yak) sponge is a 100% natural vegetable fiber that is derived from the root of the amorphophallus konjac plant. It is a soft and gentle cleanser and exfoliator, which is pH balanced, color free and naturally sustainable. This simple product made its way into my daily routine since it arrived on my doorstep and it is still a joy to use. I use this exfoliating sponge in the morning with nothing but warm water. Initially, I was nervous at only using water to cleanse my skin because I always thought I needed soap. I remember thinking that my skin is going to revolt after a few days of using only a sponge and water, but it didn’t. I soak the sponge in fairly warm water and go over my face several times, using circular motions. It’s like giving my face a nice message every morning. I wanted the sponge to last as long as possible so I don’t use a cleanser with it or use it to remove makeup…though you can. My first one lasted many months before needing to be replaced. The sponge never fell apart, but I noticed some of the fibers separating along the surface. To deep clean the Konjac sponge, put it into boiling water for several minutes. 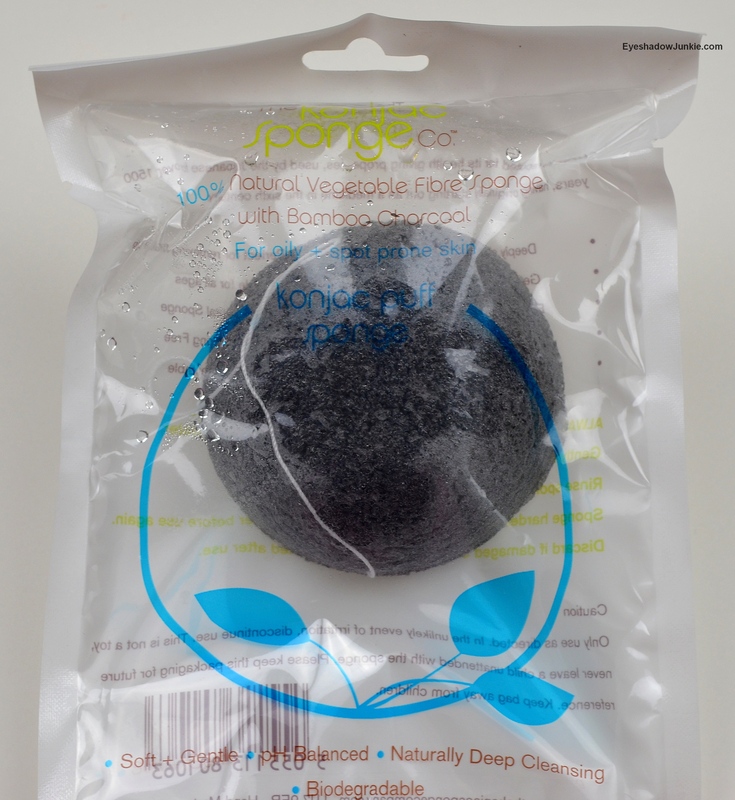 There are several types of Konjac sponges to choose from. I have the one that contains bamboo charcoal that is for oily and acne prone skin. The carbon in the charcoal helps absorb oil and contains anti-oxidants to fight bacteria. There are sponges that contain French green or red clay for other skin types including sensitive, oily, dry and mature. The sponges arrive moistened in its packaging and is small enough to fit into the palm of your hand. There are also Konjac sponges for use on infants and larger sponges that can be used on the body. The sponge comes with a string attached so it can hang dry. After it has dried down, I keep it stored in the original packaging. I’ve used facial sponges before but they were rougher on my skin and would leave bits of sponge on my face. It’s great that there is a natural alternative to synthetic fibers and dyes. You can purchase Konjac sponges online for $9.